Gift Cards for every multi class-pass. 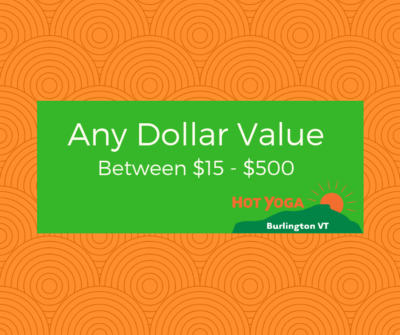 A gift for everyone, for any occasion, with an e-Gift Card style gift certificates to Hot Yoga Burlington VT. You can personalize your card and email it anywhere. 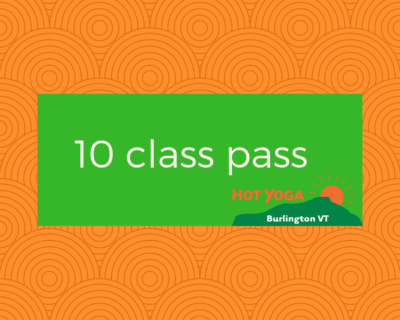 There are gift certificate choices of 5, 10, 15 and 20 class packages. Or, just select the gift certificate card featuring ‘Any Dollar Value‘ and we’ve got you covered. It’s easy as 1-2-3! First, choose which pass you wish to give as a gift, then click the Get Started button to customize your gift message, and finally pay on the last step. Not sure of the best option? Click here to call us!